A little bit of a stressful week? 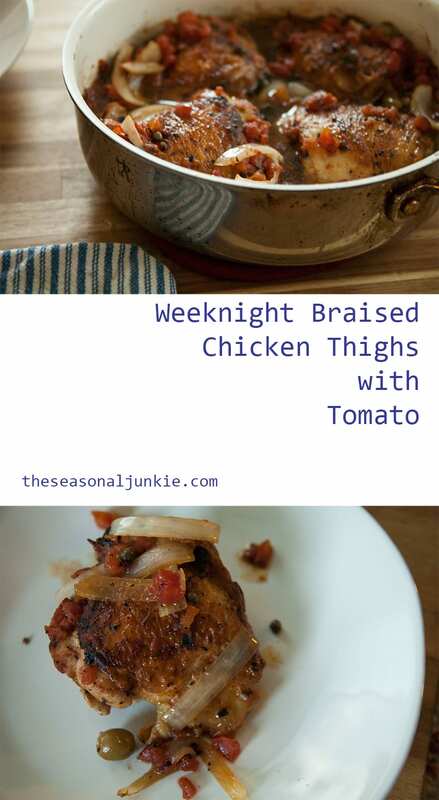 Thank God for these weeknight braised chicken thighs with tomato! To be honest, I am a little bit superstitious. Okay, a lot of bit superstitious. One of my favorite past times is kissing the ceiling and making a wish when the clock says 11:11. Definitely has caught some people off guard when I randomly hop on a table to do this. Anyways, I have been on one this week, because I read my March horoscope. Basically, it said I was going to fall into a fortune. And then, because I am so kind and informative, I read Baylen’s horoscope. I like to give him the hard facts about his future. Well, along with my fortune apparently he also has the same fate for March. So naturally, I have been looking at houses in Barcelona and our future is … you know, looking really bright. While I’ve been day dreaming about all the luxuries we are about to accept into our lives, I also have been busy at work. 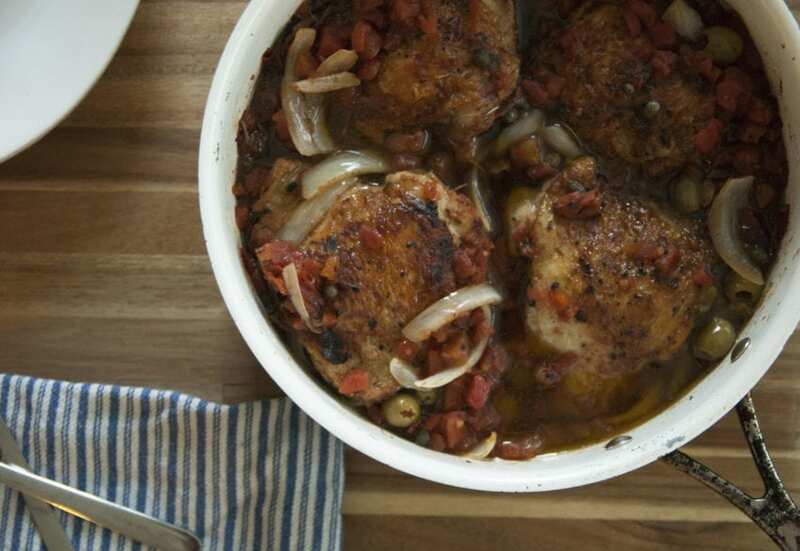 Which makes these weeknight braised chicken thighs with tomato a flavorful quick meal. 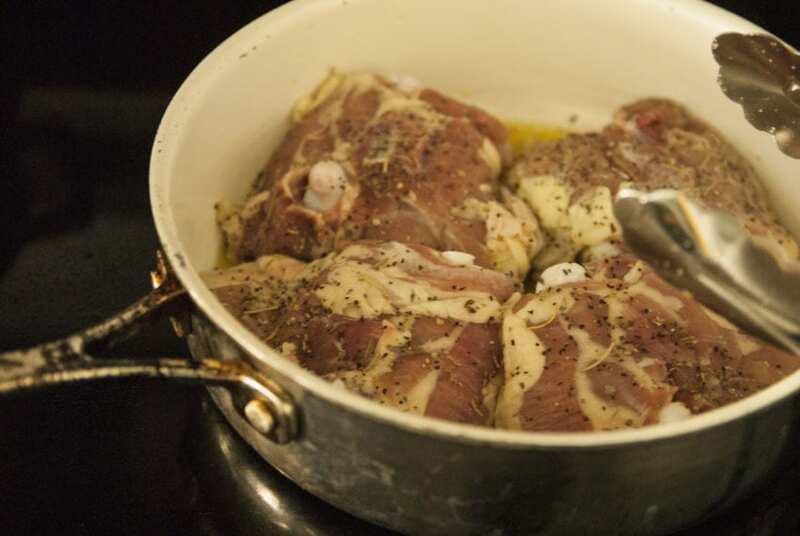 Chicken thighs are often overlooked, but man are they good (and cheap!). 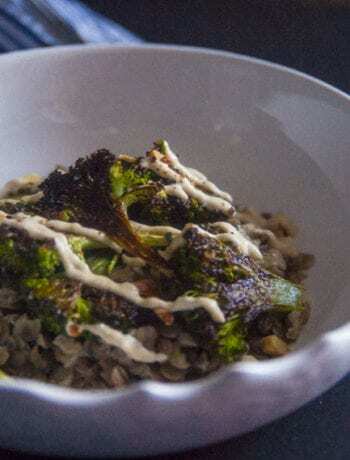 Probably one of my favorite items to cook up. The dark meat just has so much flavor. I was definitely in the mood for something saucy. And then it dawned on me, when not just braise some chicken thighs in tomato sauce?! 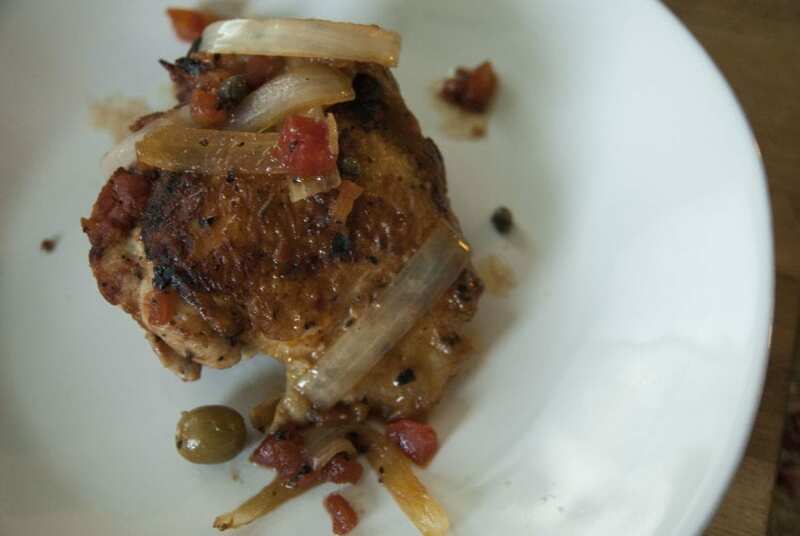 So I whipped up some of these braised chicken thighs with tomato. Guys, it was easy and clean up was done before I could even snap my fingers. 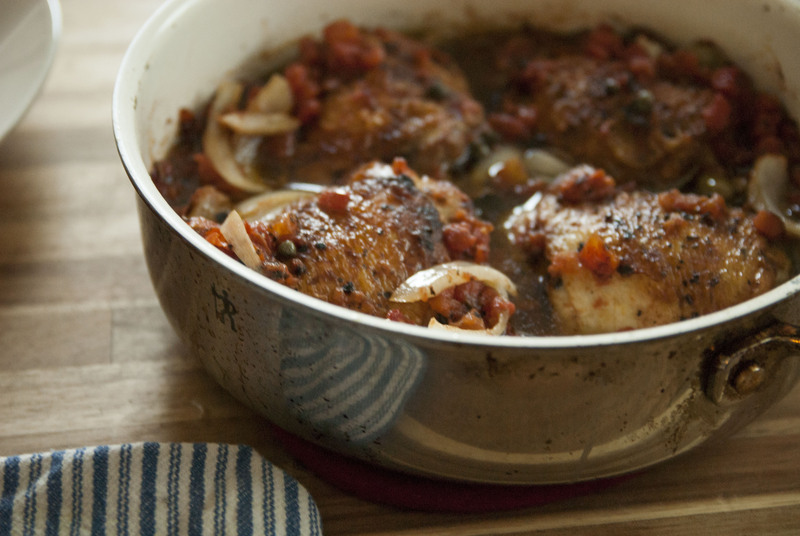 The good news, these braised chicken thighs with tomato…. 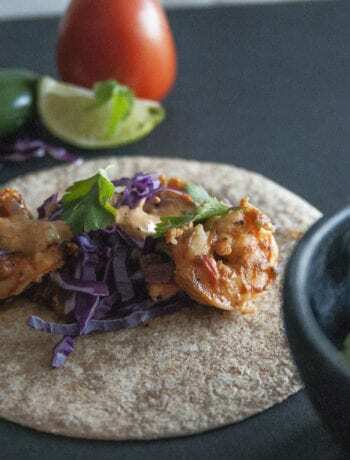 Are gluten free, paleo friendly, and whole30 compliant. Personally, I don’t follow strict diets. Here and there I’ll do a reset. But, I generally eat pretty clean. Always have. I’m a firm believer that hey, I eat cauliflower rice on Thursday, but you’re most definitely going to see maple syrup on my pancakes come Saturday. Moderation is key people. 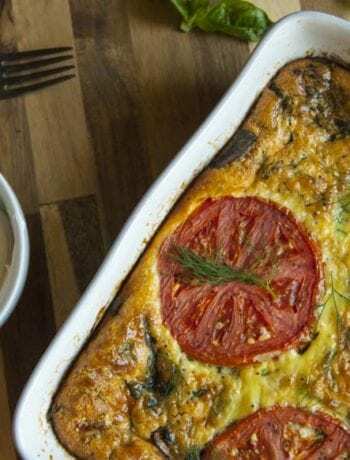 Well, I hope you enjoy my braised chicken thighs with tomato, thoughts are always appreciated!